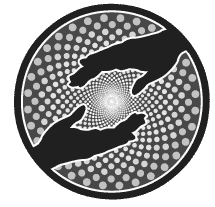 CBD Oil Review rates Treatibles with four stars because it qualifies for the Quality, Charity, Mission & Innovation Badges. Harmony for the whole family. That’s the aim of Treatibles, the first company to offer organic, full-spectrum CBD oil specifically for pets. This brand is the real deal, with their own organic and sustainable hemp farm in South Carolina and team of veterinary advisors and consultants. We love that they are charitable, and they don’t use one, NOT ONE, questionable ingredient in their CBD pet line. Pet owners can rest easy with these tested and quality CBD products for stress, inflammation, or whatever ails your furry friend. Treatibles is serious about pet health. Their full spectrum CBD oil products can be found in veterinary practices throughout the country to aid animals with a variety of health issues. The Treatibles set of values includes compassionate care, quality ingredients, reliable information, and integrity. And we can confidently say their practices reflect all of these. Treatibles began developing organic full spectrum CBD for pets in 2013, the first company to do so. They have their own farm in South Carolina, allowing them control and oversight over the entire growing process. Not only do they use 100% organic practices, they employ sustainable permaculture in their indoor/outdoor operation. Permaculture is an agricultural practice that mimics patterns and characteristics of natural ecosystems. Of course, no pesticides or herbicides are anywhere to be found. 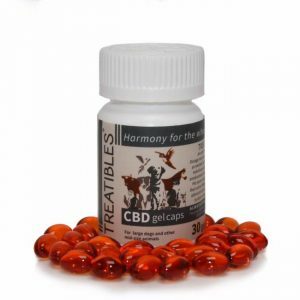 Treatibles uses an oil-infusion extraction method, not unheard of, but certainly not popular among the larger CBD oil vendors. It works like this — hemp is heated while being combined with oil (in this case, organic MCT oil). The infusion is then heated between 140-160 degrees to enhance and protect the compounds. That’s it! The results is minimally processed extract with exceedingly high levels of cannabinoids and other phytochemicals. We highly approve. What’s not to love about the Treatibles full-spectrum product line? The CBD chews for dogs and cats are grain-free, gluten-free, and have super healthy ingredients like kale, turmeric, and chickpea flour. Next up, they produce CBD capsules and CBD oil tinctures in an ‘all-species’ and equine formulation. Treatibles also makes convenient Ready Packs for dogs and cats. These little CBD packets come with 10 doses of their organic CBD oil perfect for trips to the vet or groomer, travelling, and first aid kits. Finally, humans aren’t left out with their line of tinctures and capsules for people that boasts the same organic CBD as the pet line. Treatibles comes very close to receiving the Safety Badge, but we need more information about contaminants results. Some SKUs have them, while others do not. We’d be OK with this if their most recent batch of CBD oil had current results and the rest of the SKUs had up-to-date cannabinoid profiles. But the latest batch CoA did not list contaminants results, so we have to pass this time. Bottom Line – Treatibles is one of the top CBD vendors dedicated exclusively to pets with organic hemp, healthy and quality ingredients, and a solid commitment to the welfare of animals. Treatibles sources organically grown hemp from their farm in South Carolina and utilizes a proprietary oil-infusion extraction method. Treatibles is on a mission to help pets thrive through their revolutionary full spectrum CBD oil products. Treatibles partners with Villalobos Rescue Center (of Pit Bulls & Parolees reality TV show fame) by donating $1 of every sale of Tater’s Sweet Potato Tots to the center. 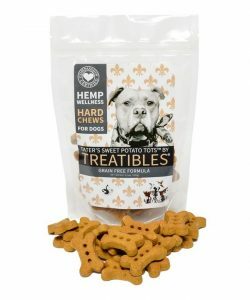 Treatibles was the first company to offer organic, full spectrum CBD oil developed specifically for pets. Has anyone had significant results in loweing r blood sugars to be less than 200 hundred fast. How many gtts are people taking daily?